SAN JOSÉ, Costa Rica, March 4, 2011 (ENS) – Costa Rica has greatly expanded a marine protected area surrounding Cocos Island National Park, safeguarding a total of 2,900 nautical square miles (one million hectares) still rich with endangered sharks and sea turtles. The Seamounts Marine Management Area, or Area Marina de Manejo Montes Submarinos, will conserve an entire marine ecosystem and protect a group of underwater mountains southwest of Cocos Island. Located 342 miles (550 kilometers) off the coast of Costa Rica in the Pacific Ocean, about 30 hours from the mainland by boat, Cocos Island is just 12 miles (20 km) in circumference. It is known for the abundance of sharks that live in its waters, including white tipped reef sharks, enormous whale sharks, and scalloped hammerhead sharks. The newly protected area will brings hope for the scalloped hammerhead and the leatherback turtle, two species threatened with extinction. 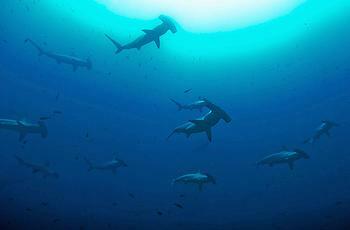 Vast migrations of hammerhead shark, and white-tip shark and deep ocean fish such as tuna and jacks pass close to Cocos Island. Whale sharks and manta ray are still abundant. “We want to establish the legal foundations for the fishing in this zone, so that the fishermen extract with intelligence only fish of a suitable age and weight using technologies that do not impact other species,” President Chinchilla said. 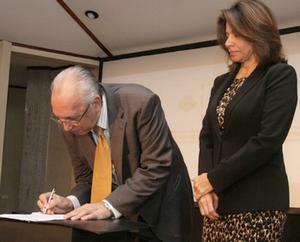 The decree provides that the National System of Conservation Areas has the financial resources necessary to take care of the needs, management and development of the Seamounts Marine Management Area, or Area Marina de Manejo Montes Submarinos, in addition to funding contributed by Costa Rican states from their own budgets. “Creating a protected seamount area sets an important precedent,” said Marco Quesada, Costa Rica Marine Program coordinator for the nonprofit Conservation International, which has worked with local communities, fisheries organizations and government agencies for six years to support creation of the protected area. 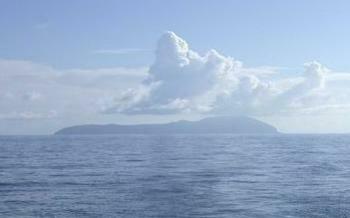 The waters around Cocos Island support more than 30 unique, endemic marine species found nowhere else in the world. The huge protected area will be five times as large as the existing National Park around the Cocos Islands, which is currently a UNESCO World Heritage Site and a fully protected non-fishing zone covering nearly 200,000 hectares. Conservation International’s local team has supported Costa Rica in developing national shark and turtle strategies and the creation of new management categories including Marine Reserves and Responsible Fishing Areas, directly involving local communities in management, Quesada said. Leatherback turtles are listed as Critically Endangered on the IUCN Red List of Threatened Species. The Costa Rican population of leatherbacks has declined by 40 percent in the last eight years, and 90 percent in the past 20 years, due in part to the loss of eggs to illegal harvest in nesting sites. Scalloped hammerhead sharks are on the globally Endangered species list, and are often targeted by fishermen for their fins, which are prized for shark fin soup. Both scalloped hammerhead sharks and leatherback turtles die when they are accidentally captured in commercial fishing operations.